Maria is based in Nashville, TN and is a 300h E-RYT certified instructor, a certified Pranic Healer (a comprehensive system of energetic medicine) and an Ayurveda Wellness Counselor. She has completed over 500 hours of additional training in hatha yoga, restorative yoga, Pranic healing, Ayurveda, meditation and anatomy. She has co-lead multiple 200-hr Yoga Alliance teacher training programs and offers a number of workshops on Yin Yoga, meditation, Pranayama breathing, Mudras and the Chakras. She has also led group retreats to Costa Rica and Guatemala. She was a featured instructor at the Dirty South Yoga Conference as well as the inaugural Wigwam Wellness Experience. 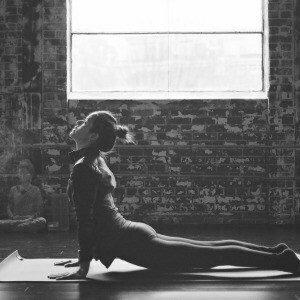 Stemming from the Hatha and Anusara schools, Maria offers alignment-based Vinyasa classes that build throughout each practice in a creative and mindful way. To learn more about Maria visit her website or Instagram.